Contact Paul Barrett to Purchase this DVD or you can pay via Paypal using the button above. Due to so many requests for such, we are re-issuing our first comeback concert from 2008. 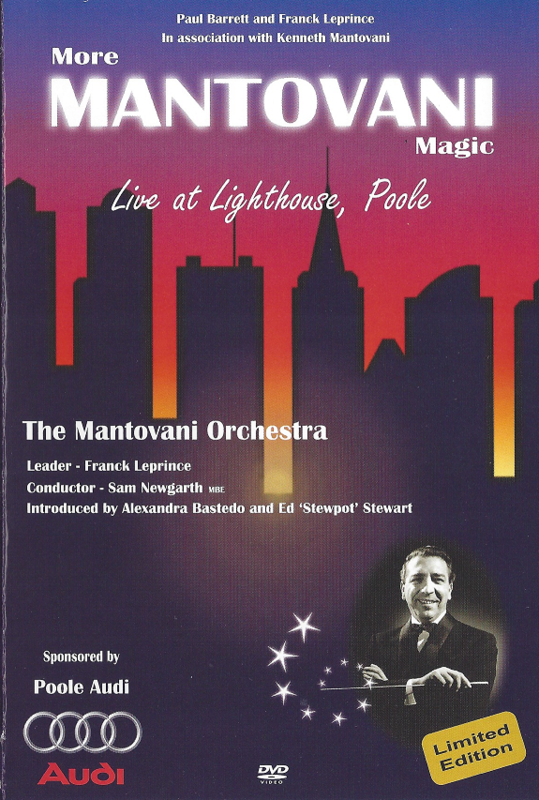 This concert features the first full Mantovani 45 piece orchestra since Monty died back in 1980. Compered by Alexander Bastedo (The Champions TV), Ed (Stewpot) Stewart and unique stage appearance by Kenneth Mantovani. This historic archive release will be strictly limited to 50 copies only. 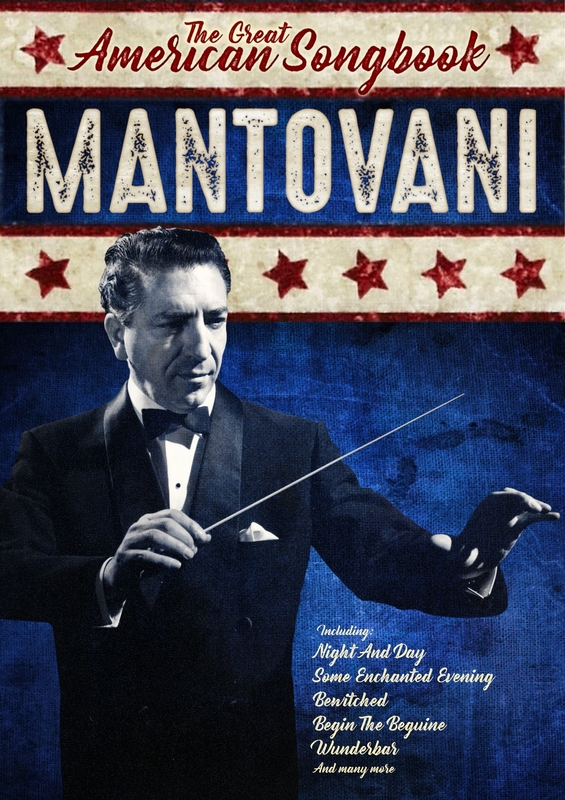 "A must have addition to Mantovani lovers everywhere." 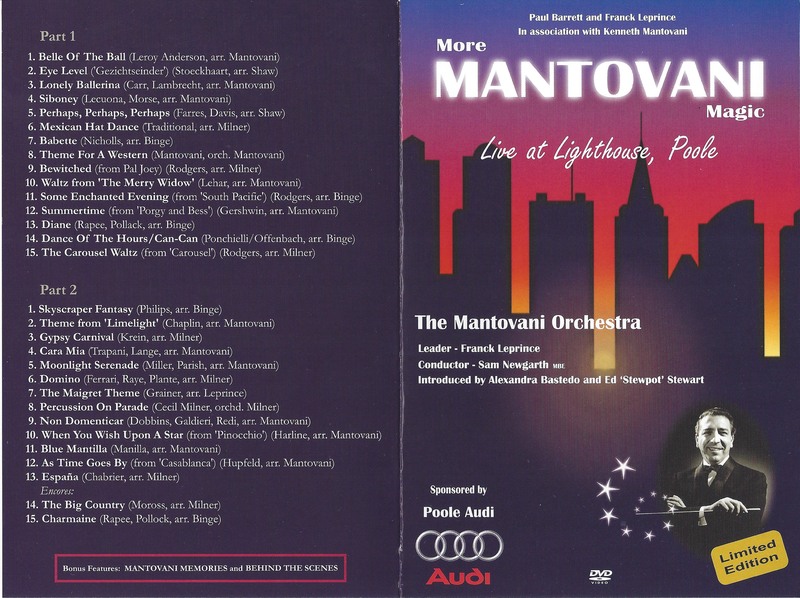 The combined DVD and CD 4 disc sets are available to Mantovani subscribers at the special price of £40.00 with free delivery. 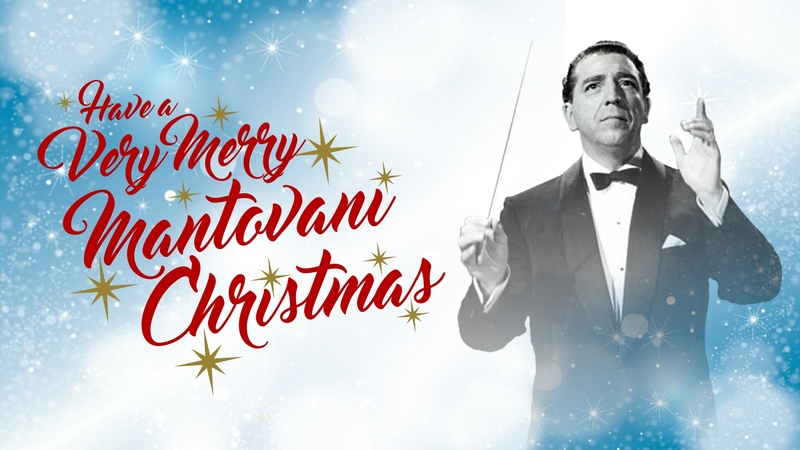 Mantovani was the most successful orchestra leader of his time, selling over 60 million albums in his career. 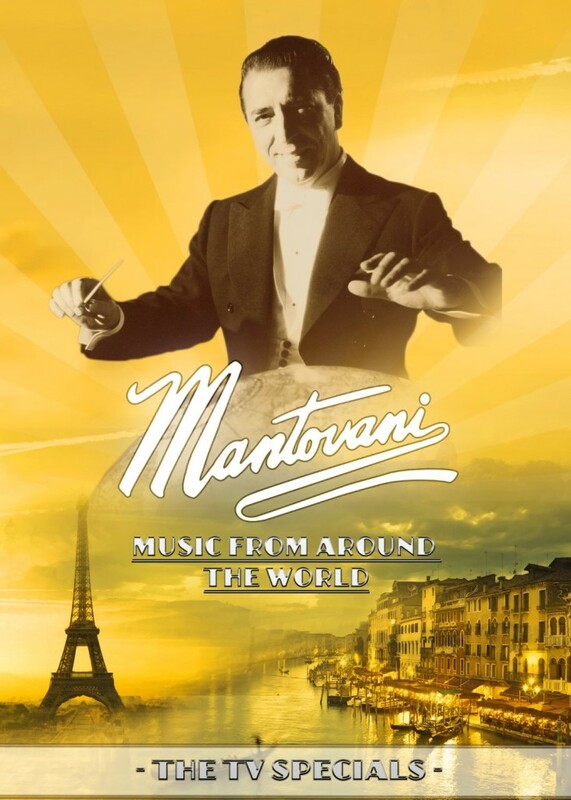 Mantovani also recorded over 30 half-hour TV specials for world-wide syndication in 1958 and Mantovani`s Music From Around the World features three TV shows: Tribute To France, Tribute to Italy and Music From Around the World. Performances featured include Under Paris Skies, Autumn Leaves, The Blue Danube, Colonel Bogey March, Song of the Vagabonds and many more! Special guests include Carol Carr, John Hanson, Patachou and The Tiller Girls. 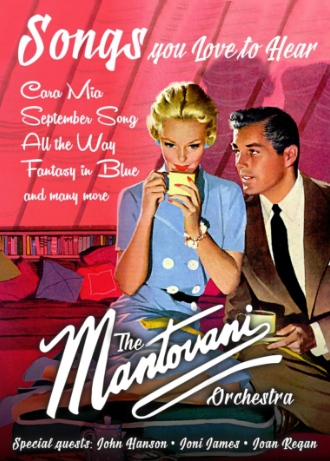 Mantovani also recorded over 30 half-hour TV specials for world-wide syndication in 1958 and Mantovani's Music From the Movies features three TV shows: Stars Of Stage And Screen, Film Encores and Favourites Forever. Special guests include Petula Clark, Dorothy Collins, Monia Liter. 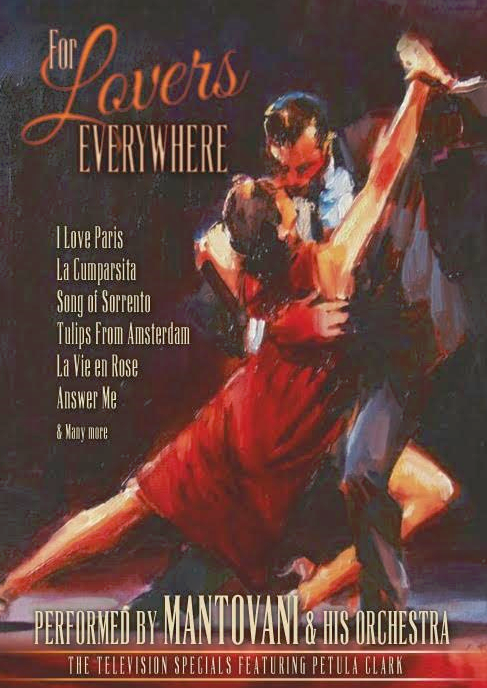 The Mantovani and his Orchestra TV Specials series continues on DVD with the release of For Lovers Everywhere which includes; Music For Latins, Musical Holiday and Music From Many Lands. Only ever screened once back in 1958 on late-night TV, this is the first time these rare TV Specials will have been available for all to view. 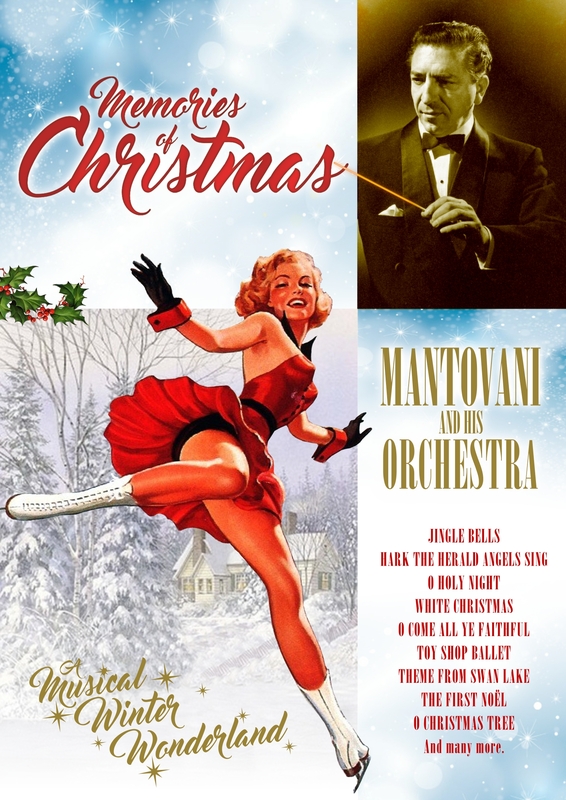 They have been digitally remastered to give the standard of quality that Mantovani would have been proud of. Please select 'International' or 'United Kingdom' delivery from the above drop-down menu. Quanities can be altered from the payment screen which follows. Three TV programmes from 1959 are all contained on the latest DVD from Elstree. 1) Mantovani plays record encores. 2) Mantovani answers your requests. 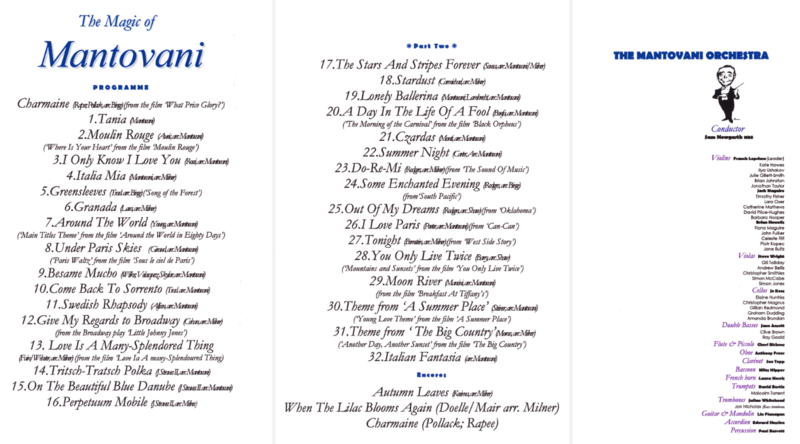 3) Mantovani plays music you have asked to hear. 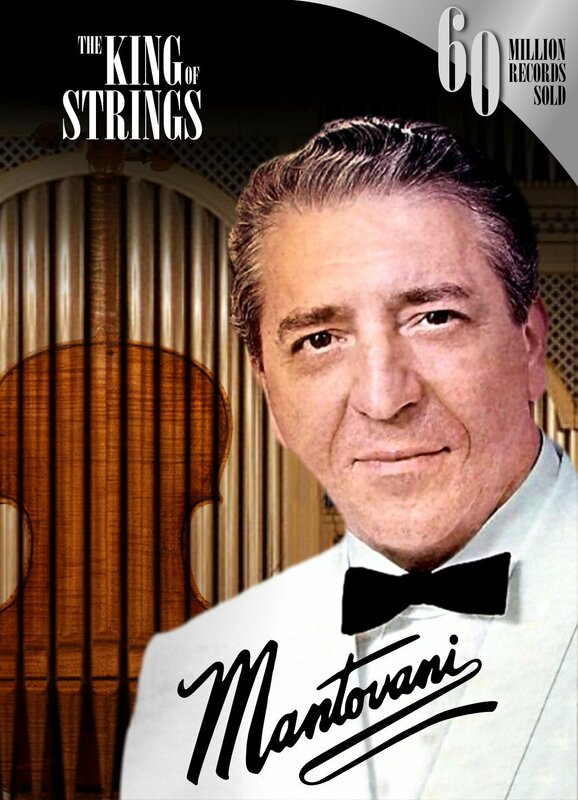 Annunzio Mantovani was the most successful orchestra leader ever, selling 70 million records from the 1950's to the 1970's. 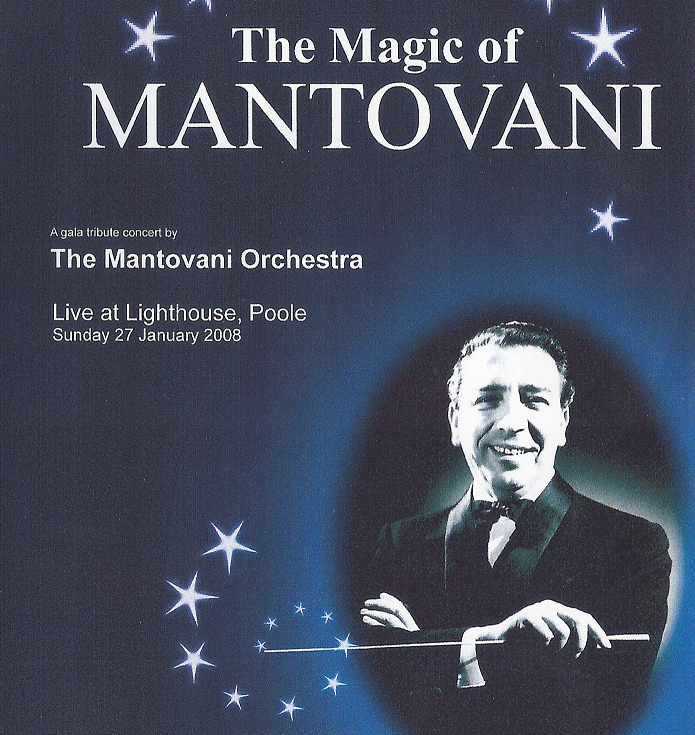 Known for his unmistakable cascading strings and recordings such as Charmaine, which influenced the stereo revolution, Mantovani enthralled the world with his sublime arrangements. This documentary is the story of the man and his music. 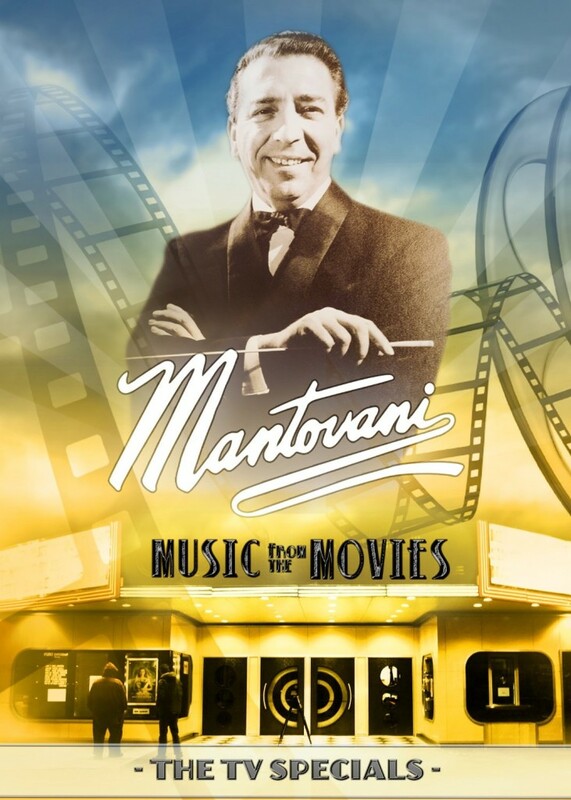 Featuring exclusive, and unseen since 1959, footage from the original Mantovani TV show, this brand new documentary tells the story of Monty's arrival in England from his home city of Venice and his struggle to become one of the most successful easy listening artists ever. 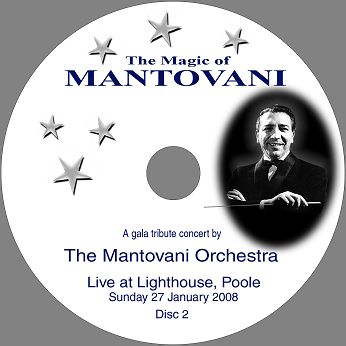 Our second concert DVD (2009 at Lighthouse, Poole "More Mantovani Magic") includes a rare interview with Kenneth Mantovani, the maestro's son, in which he discusses and illustrates Mantovani's golden disc awards. Our DVDs and CDs also include glorious stereo performances of previously unavailable original arrangements, such 'Blue Mantilla', 'Percussion On Parade', 'Skyscraper Fantasy' and 'Domino'.